Yes, my lovies I am back gracing the net again. If this is your first trip to my little corner then welcome. I’ve been away for a while now fighting seizures and other personal matters but never too far away. There’s been so much going on, from speaking at conferences to upcoming events all in the name of Epilepsy Awareness. So know that I am always fighting for us even if its not on here. I cannot wait to pour out everything I have been holding in over the past few months but first things first. I am not being paid to endorse any products in this blog post, however, they have been a tremendous help in allowing me to take control of my Nocturnal Seizures. These were the seizures I could never figure out how to tame until now. Let me explain. Nocturnal Seizures are seizures that occur exclusively during sleep. The majority of nocturnal seizures occur in light sleep – soon after falling asleep, before waking or around awakening. This is common of those who suffer from Temporal Lobe Epilepsy like myself. Lack of sleep, Sleep deprivation, drastically altering your sleep pattern can play major roles in causing these types of seizures. You can find more information on Nocturnal Seizures here. One of my many Seizure Triggers is sleep deprivation (see previous blog on seizure triggers here). Folks often laugh or make this weird face when I say I HAVE to get at least 7 hours of sleep a night and no more than 9. I cannot get too little sleep or too much sleep. For someone living with epilepsy, there is such a thing as too much sleep. It could literally be a matter of life or death. 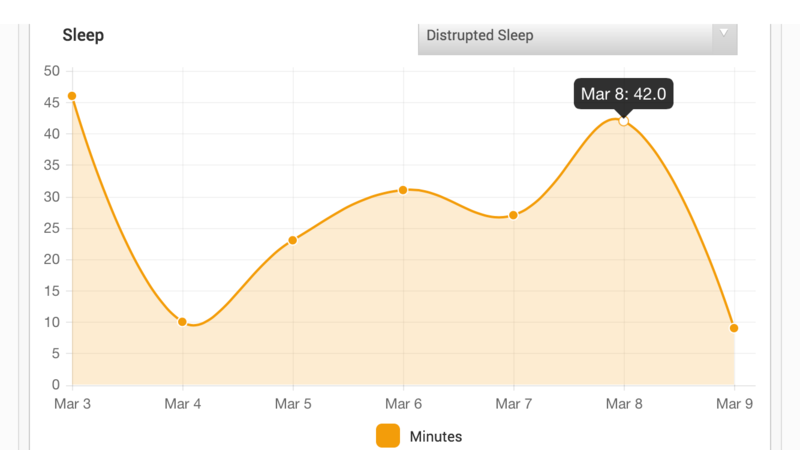 When I realized that my seizures were happening in my sleep again, I decided to start monitoring through my FitBit. The unique thing about these fitness wearables is that you are not limited to analyzing data just in one area. In today’s world of technology, we have the ability to sync data across multiple platforms and devices. I don’t only have to use my FitBit app, I can sync it to my Epilepsy Storylines application on my iPhone as well. The data imported there I can share with my neurologist to better treat these things. The data is super easy to read and understand. After paying close attention to the data gathered for a number of weeks, I noticed the nights I was most restless, I would always have a seizure either during that night or the following morning. It was almost guaranteed. Once I saw the problem spots, I was able to make the necessary adjustments. From temperature in my room, pillows, to winding down 30 minutes earlier. You would be surprised the changes you could make just by paying attention. It doesn’t just happen at night either, this counts for those afternoon naps people enjoy so much..uh not me. That nap can throw off my sleep schedule so quickly, I just avoid it all together. I know there are other devices out there made specifically for seizures and sleep but not everyone can afford them and some are made to monitor grand mal seizures only. This has been my only way to help me discover and control this part of my life with epilepsy. I’ve included some screenshots from nights where I was extremely restless and logged seizures the following morning and nights I slept much better and no recorded seizures. I can’t stress enough how knowing your body and taking care of it is so important. Technology has come such a long way and continues to grow to help us better manage our lives with epilepsy. Read about it, get to know it, and grow WITH it. NEXT UP: Be sure to check out the next post tomorrow at http://livingwellwithepilepsy.com/ for more on Epilepsy Awareness. For the full schedule of bloggers visit livingwellwithepilepsy.com/epilepsy-blog-relay. ← Seizure Clusters – Do I Have Them? Wow–this is amazing! I didn’t realize how exactly you could calculate sleep patterns and seizures! Isn’t it? I always used it for everything else but it dawned on me to actually look at how my sleep patterns were affecting my seizures as well..technology is great! Thanks for reading Soo!! Just wondering if you are on any meds or you just monitor by adjusting your life and triggers by the messages recieved through this tech gear? Hi Bailey! Sure it’s the standard Fitbit Flex and the basic configuration. Only thing I adjusted was my sleep goal which is 7 hours (if I get that I’m less likely to have these type of seizures). I kept it simple for the purpose of this self study just in case I shared and someone wanted to know 🙂 thanks for reading! I have been monitoring my sleep for couple months and recently had an MRI that shows cyst on temporal lobe. I can’t sleep anymore and have been trying different scripts but they don’t seem to work for just a few hours. I have had 2 nocturnal seizures that have woke me up but think I’m having them in my sleep. 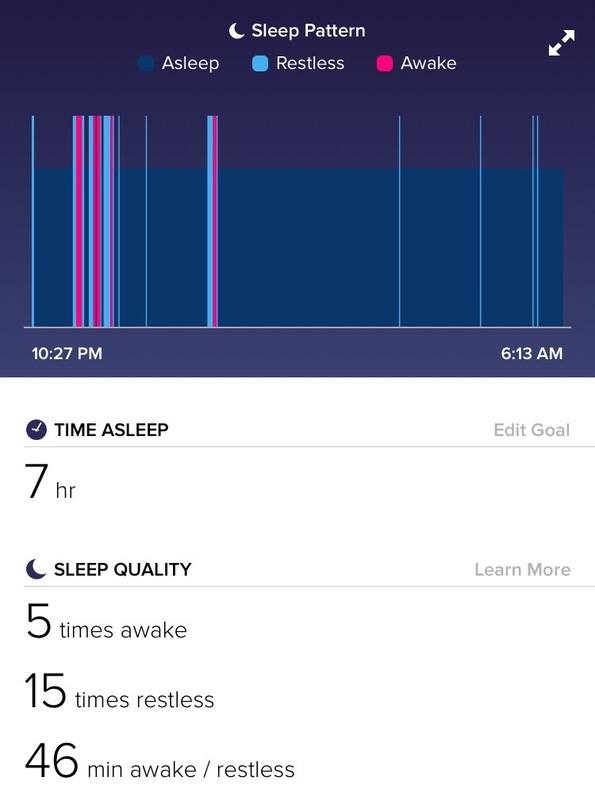 What does a nocturnal seizure look like on a Fitbit? Hi Jana! On a Fitbit it will just show the time you were awaken or restless during the night. If you have a Fitbit that has a heart rate monitor, you can see exactly when your heart rate increased during the night with connection to the seizure. There are other devices out there that work specifically with tonic clonic seizure detection. Do you use any essential oils for sleep or have a set bed time? That helps a lot with sleep patterns. I use essential oils but they don’t seem to help with sleep at all. Ambien will get me maybe 4 hours and then I’m wide awake again. 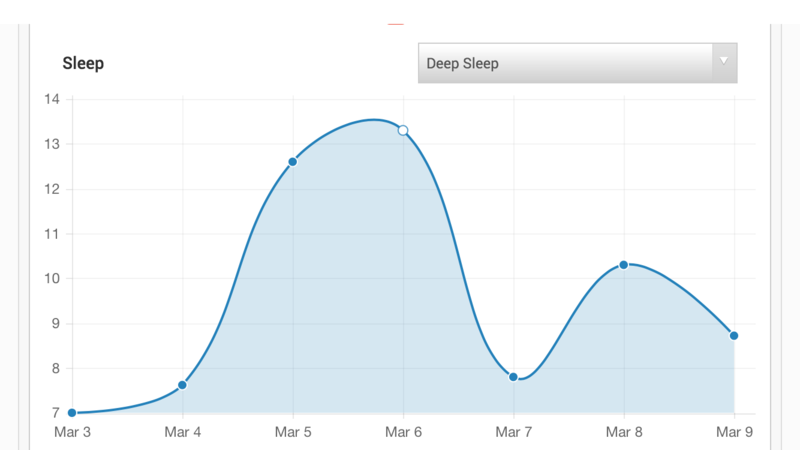 My Fitbit sleep patterns are a lot of awake and restless lines even when I’m sleeping with medication. Neurosurgeon appt in February so maybe more testing. Interesting reading your update and all the comments. I have suffered with nocturnal seizures since being knocked out falling out of bed 18 years ago. Gradually over the years I have suffered ďay complex partial seizures but do worsen with stress. I suffered more than 14 day seizures a few weeks ago and my son suggested a fitbit. I’d really like to know the best one to purchase to monitor any activity. I do stiffen and jerk but have never fallen to the floor..and still can walk whilst having one. Find it bizarre. Best fitbit suggestions anyone?? Hi Carolynne! Thanks so much for reading. Nocturnal seizures are no fun at all but you can try to combat them as best you can. Of course, try to get your stress managed. I found that mindful meditation helps a lot even if I have a million things going on in life. I currently use the Fitbit Blaze which is their fitness watch. If you don’t want to go to the watch level, I’d suggest the Alta. Both will give you sleep details including sleep stages. How long you are in REM, light sleep, deep sleep, awake and more. This will help you make the needed adjustments to get better sleep. I hope this helps. Be sure to talk to your doctor as well. Hi, I just came across you from Googling Fit Bit and Seizures. My 29 yr old son was diagnosed 9/2017 with frontal lobe epilepsy. He was just released by his neurologist last week to go back to work as she feels his seizures, which have all been nocturnal with the exception of the very first, will continue to be nocturnal should he have any more. He is very aware of how getting regular amount of sleep makes him feel. He is on Fycommpa and Keppra. I see that many of the posts are from 2016 so I’m wondering if you stll feel using a monitor like the FitBit is helpful to you as I’m considering getting one for him. As a Mom you never expect this to happen to a healthy young man of 29 and it is devastating to me to see how his life changed in an instant. Your thoughts on this would be greatly appreciated. Hi Sandy! Thank you for reading. I am currently working on releasing an update to compare Fitbit verse Apple Watch but I still strongly believe it’s a good help when trying to manage sleep and epilepsy. I still monitor my sleep to this day. While sometimes we feel like we are getting an ample amount of sleep, we aren’t always entering the deep sleep stages for our body to reset each night. This is where these wearable devices come in handy to see if it we are actually getting quality sleep. In my opinion of course. I know your son will continue to succeed despite the diagnosis. There’s a whole community cheering him and yourself on. You’re not in this alone. Yes, trust your gut! Keep tracking, keep documenting. I was diagnosed at 3 weeks old and here I am, in my 30s, and we still don’t know the cause of my epilepsy. My seizure activity NEVER shows up during EEGs or MRIs but we know they are happening because of my history and all of my documentation. That’s your most powerful weapon in fighting this. Also, it never hurts to get a second opinion if you can. I love that my doc listens to everything I bring to him. He also shared that seizures can happen in the waking phase of sleep (with temporal lobe that’s what was happening to me). Thanks for reading Lisa! Hi Delores, it looks like it is an issue on their end with that feature. I spoke with the tech support and they are working to get it resolved. Hopefully it’s soon! Does the watch alert you if you are having a Seizure ? 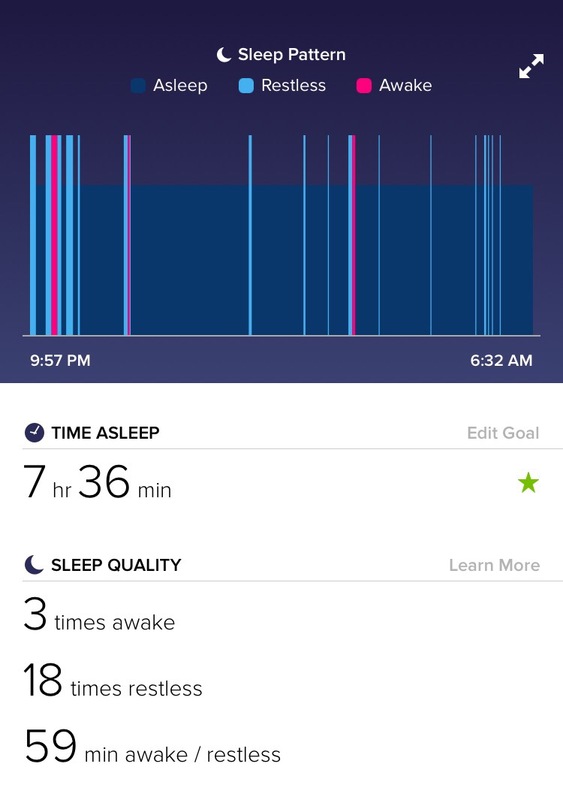 Thank you for sharing your experiences with using a FitBit to study your sleep. My pre-teen daughter was diagnosed three years ago with BRE (Benign Rolandic Epilepsy) and I am interested in monitoring her sleep. I too was wondering the accuracy of the data but I guess what’s really important is to figure out a baseline and then monitor differences as compared to what’s happening with her actual sleep. Your post was very helpful and I’m going to look at various FitBit models. Thank you! Thanks for reading Michele! Yes you will need to find a baseline and go from there. I knew if I got a restful 7-8 hours I would be fine. Anything outside of that or interrupted sleep, I would def have a seizure. Whatever monitor you get, just make sure it has the sleep function and heart rate monitor. This will help significantly! Thanks for reading. It is not the device itself that prevents seizures. As stated, it is the capabilities of monitoring sleep that helped me get control of the seizures. Sleep is a seizure trigger for me. Lack of sleep interrupted sleep, non-restful sleep. I typically use the data gathered as guidance to how much sleep I’m getting and if I’m actually entering sleep stages such as light or deep sleep. 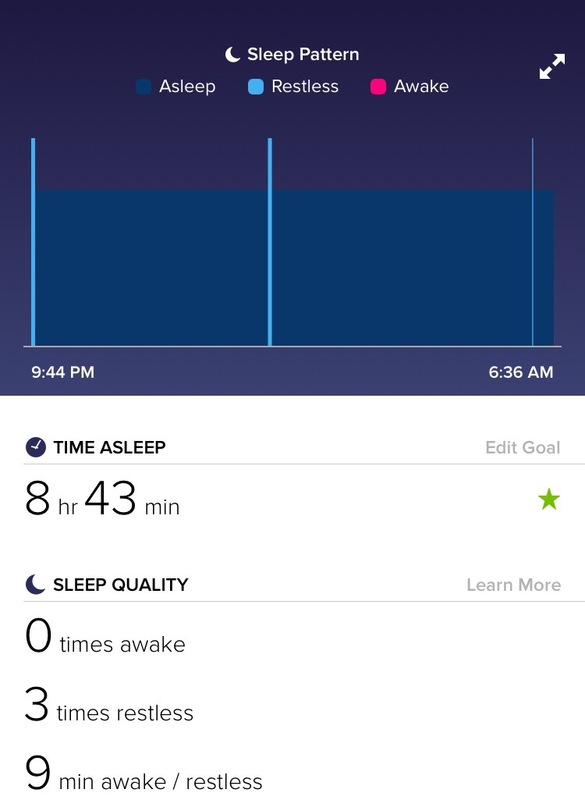 It is extremely helpful when I wake up not feeling rested or seizure activity is present.Taking control of my sleep habits and patterns with the assistance of the monitor helped me in the long run.